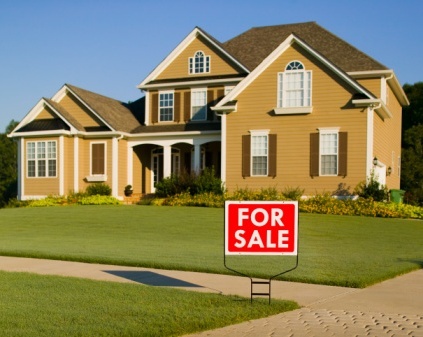 Florida Closing Costs - FHA allows the seller to pay up to 6% of your closing cost. If you do not write it into the sales contract then you will be paying all of the closing cost. In the state of Florida closing cost average around $6,500.00 depending on taxes, insurance and who's paying the transfer tax and owner's title insurance. To buy a home in Florida using an FHA loan you will need a minimum of 3.5% down payment plus closing cost. On a $100,000.00 purchase you will need $3,500.00 (down payment) plus $6,500.00 (closing cost). You will need around $10,000.00 if you are paying all the closing cost. By allowing the seller to pay for your closing cost you will decrease the amount of out of pocket cash required to buy a home. Buying a $100,000.00 property requires $3,500.00 down payment and if the seller pays $6,000.00 for your closing close. You will only need an extra $500.00 to cover your closing cost. By using a seller contribution for closing cost you will only need around $4,000.00 to buy a $100,000.00 in Florida. The FHA has a list of closing costs that can be charged to a borrower. These are referred to as “allowable costs.” Anything that is not on the list is, by definition, considered as non-allowable. Upfront MIP - If you are getting a FHA mortgage you will have to pay a FHA Mortgage Insurance Premium fee. As with Private Mortgage Insurance, FHA insurance premium payments will stop when you acquire 22% equity in your home. FHA fees are about 1.75% of the loan amount. So, on a $100,000.00 purchase price you will pay $1,750.00 in Mortgage Insurance Premium fee. This fee is normally financed. So, if you borrow $100,000.00 the new loan amount including Mortgage Insurance Premium fee will be $101,750.00. Florida mortgage tax is $0.35/100. On a $100,000.00 mortgage you will pay $350.00 mortgage tax. If you are getting a mortgage you will have to pay this fee. ﻿Transfer tax documentary stamp tax is levied at the rate of $.70 per $100 (or portion thereof) on documents that transfer interest in Florida real property, such as warranty deeds and quit claim deeds. (The Miami-Dade County rate is $.60 on all documents plus $.45 surtax on documents transferring anything other than a single-family residence). This tax is usually paid to the Clerk of Court when the document is recorded. The Clerks of Court send the money to the Department of Revenue and the Department distributes the funds according to law. This fee is normally paid by the seller. The sales contract will indicate who is paying the transfer tax. If your contract says the buyer will pay the transfer tax then your closing cost will be higher. Request that the seller pay this fee. Appraisal fee for an FHA loan is around $450.00. The appraisal fee is paid before closing. Once the appraisal is completed you will receive a copy. Owner's title insurance is usually issued in the amount of the real estate purchase. It is purchased for a one-time fee at closing and lasts for as long as you or your heirs have an interest in the property. Only an Owner's Policy fully protects the buyer should a covered title problem arise with the title that was not found during the title search. Lender's title insurance protects your lender against problems with the title to your property that occurred before the date of the policy. A lender’s title insurance policy protects your property but does not protect your personal interest in the property. If you want protection against any defects in your property title, you must buy an owner’s title insurance policy. Survey of the property is a sketch of a property showing its boundaries and physical features. A residential property survey in Florida cost between $325.00 and $475.00. Property taxes - Florida property tax is based on market value as of January 1st that year. Though the state government does not collect any property taxes, local governments receive much of their funding through these taxes. These rates are assessed at the local level and can vary by county, and they are based on the value of the property. Property taxes in Florida are some of the highest in the country, although there are several exemptions to try to lighten the load on some Floridians. Homestead Exemptions are available on primary residences in Florida. These exemptions can be available up to $50,000. However, only the first $25,000 of this exemption applies to all taxes. The remaining $25,000 only applies to non-school taxes. Homeowners insurance ranges from $800.00 to over $2,000.00 depending on the price of the home and the location of the property. On most FHA loans you will need to pay for your insurance in advance before the closing. Government recording fee are fees assessed by state and local government agencies for legally recording your deed, mortgage and documents related to your loan. Either a borrower or a seller may pay these fees. The county assessor will charge you for each page of documents you record as part of your home purchase at the rate of $10 for the first page and $8.50 for each additional page. Expect to file between 10-15 pages as part of a home purchase. Escrow account - All FHA loans require that lenders collect a portion of your monthly payment to pay real estate taxes and hazard insurance. In Florida real estate tax escrow can range from 3 months up to 8 months depending on the time of year. Hazard insurance escrow is usually 2 to 3 months.